Robot System is a multifunction robot suitable for cooking, making reduction, cutting, mixing, homogenizing, emulsifying, cooling, kneading. The range is from 10 liters to 250 liters (nominal volume). 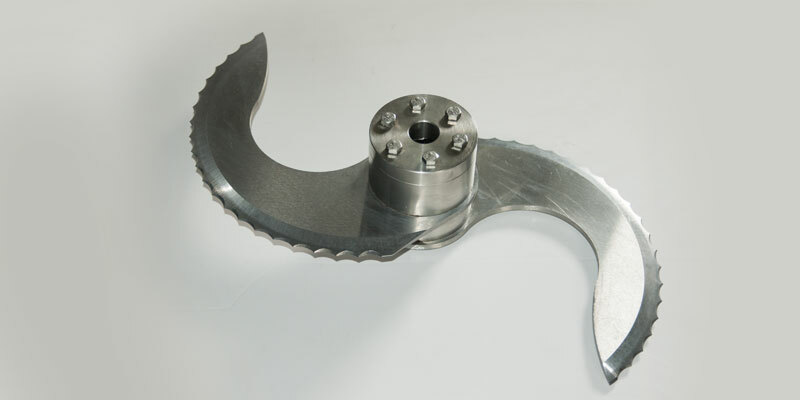 Cutting: thank to different blade shapes designed for different applications and appropriate rotation speed set, every kind of cutting is possible. Thickness together with hardening treatment gives to the blade a long life. 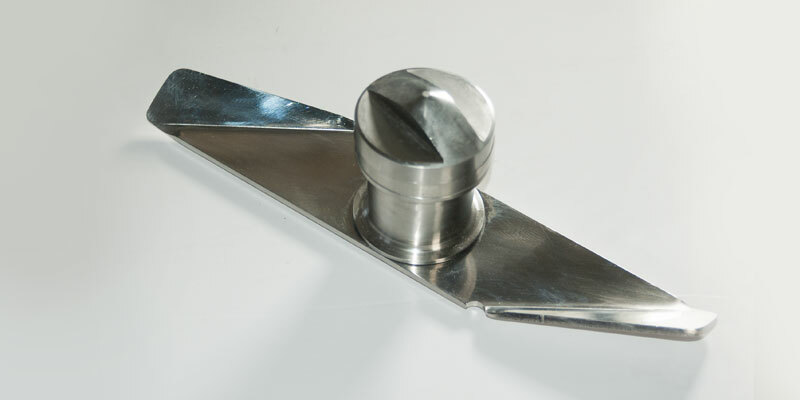 Mixing: besides the blade rotation speed set, has been mounted a self adjusting scraper which adhere to the bowl wall during its rotation, avoiding the material stick on it and allow a homogeneous and optimum preparation mixing. We are available to evaluate new tools requested by our customers. 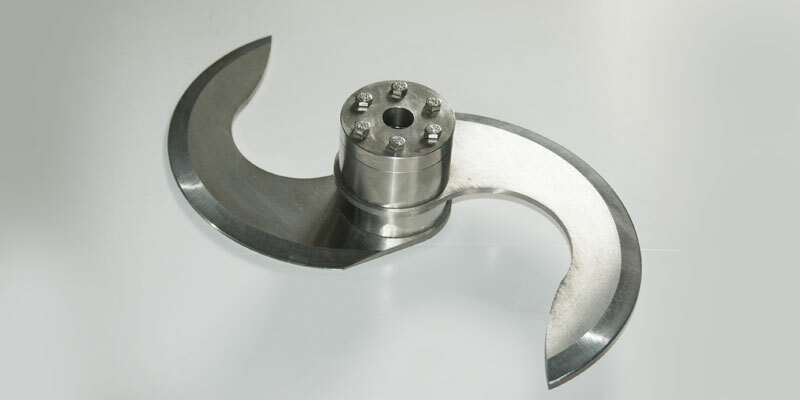 Emulsifying: thanks to a special blade shape and an appropriate rotation speed set, different kind of emulsions are obtained. 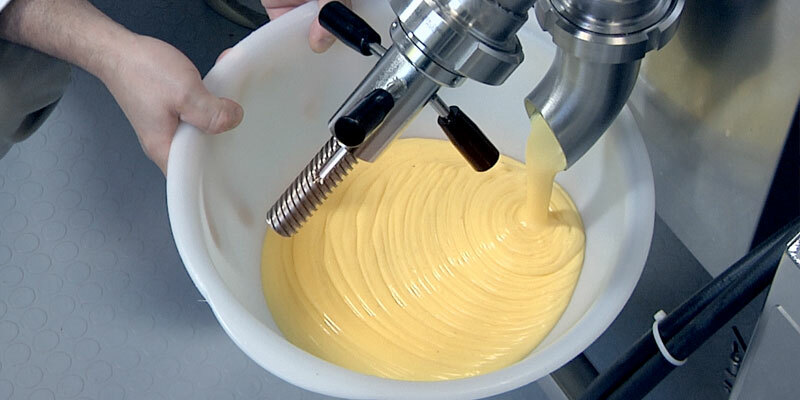 Kneading: we offer two solutions, classic mixing paddle or a new tool made by two parts. One connected to the blade shaft and one connected to the scraper shaft. Rotating in the opposite way the knead ingredients avoiding any cut. 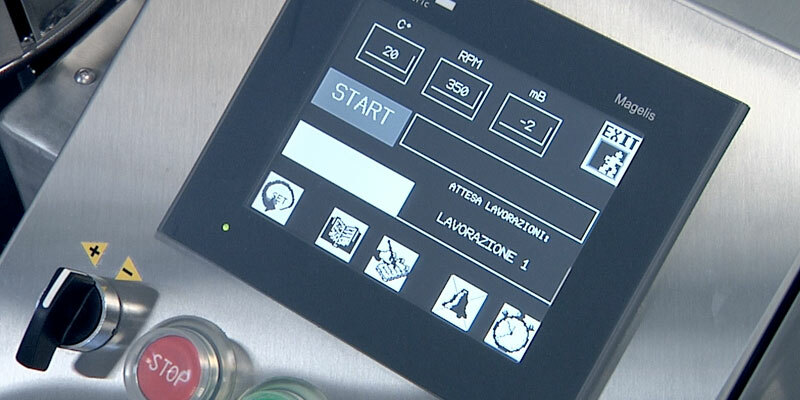 Cooking: all ROBOT SYSTEM machine range cook WITHOUT STEAM TO HEAT thank to Magnetic Induction Technology. Purchasing a machine of the ROBOT SYSTEM range YOU DON’T NEED TO BUY the steam generator. With Magnetic Induction Technology you save energy power. 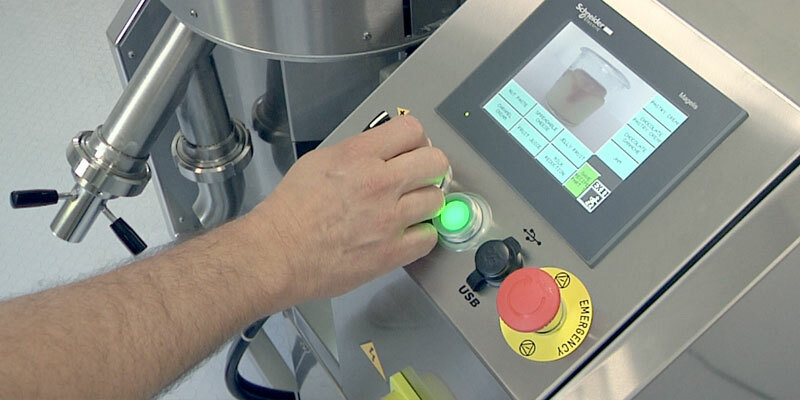 Magnetic Induction Technology allows to keep an exact temperature in the range of +/- 1°C. High flexibility, adjusting the heating power avoiding product burning. Energy consumption is proportional to the quantity of cooked products. From RS-60 (60 litres bowl) to RS-250 (250 liters bowl) heating is in zones. You could work with a full bowl or even 1/4 consuming energy proportionally. Making reduction: a proper pump creates vacuum in the bowl and, in the mean time, pull out moisture resulting from product boiling. Cooling: water flow in the double jacket. Cool water can be provided by an industrial chiller with water and glycol added for temperature below 0°C or by a tap water. High safety because no contact between refrigeration liquid and food. Vacuum: machines are equipped with a vacuum system which is composed by liquid ring vacuum pump with a consumption of 2-4 liters/min. It allows you to work with ingredients in a modified environment. You can reduce time and avoid colour and property products change. PLC/Monitor: All multi-function robot RS-Robot Systems range have a PLC . Color touch screen is standard, with USB and Ethernet port for data exchange. Modem is also available as option. PLC can store more than 250 process recipes. Product discharge: product discharging system can be executed tilting the vessel or through an extruder diam. 58mm and DN65 fitting. Closing valve is oparatet by a pneumatic piston. Machine could have a manual or motorized tilting system. Lid: up/down movement can be operated by manual or motorized gear unit. Can be locked and opened by locks pneumatically actuated. 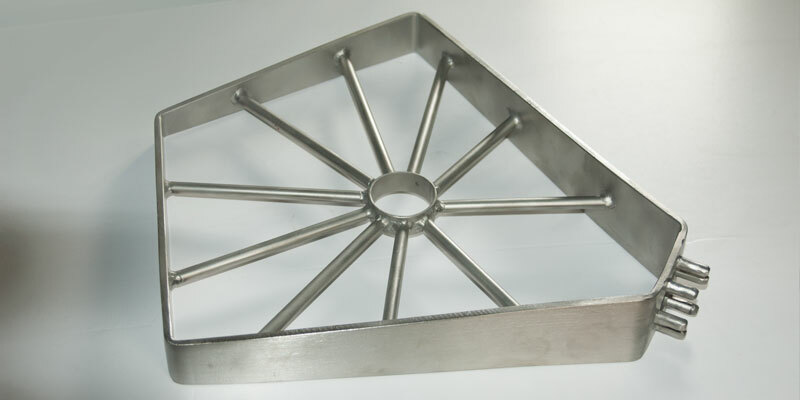 An airtight valve with a stainless steel funnel are used to add solid/liquid ingredients, a special tempered glass with light and windscreen wiper allow you to check the process. Motorized scraper scratch the vessel wall avoiding burns. 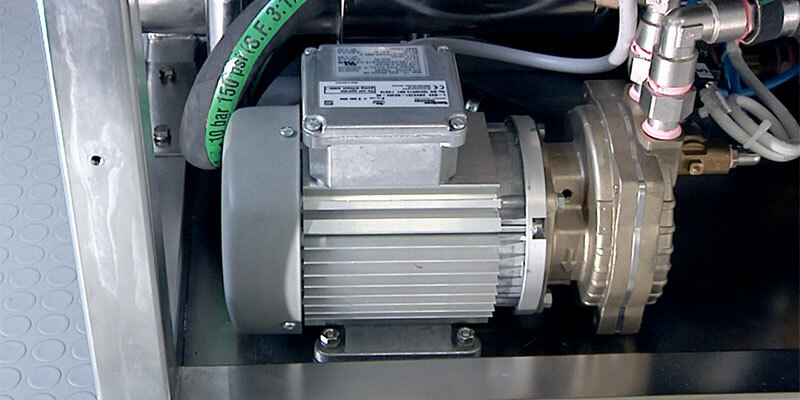 Autocleaning: all our machines have a fully automatic system to clean the vessel and lid. Once the discharging pipe is connected to the DN65 fitting, pushing a button on the touch screen the autocleaning cycle starts charging fresh and clean water, rotating the tool, heating the water. At the end of the cycle, discharging valve opens and dirty water flows to the drain water automatically.